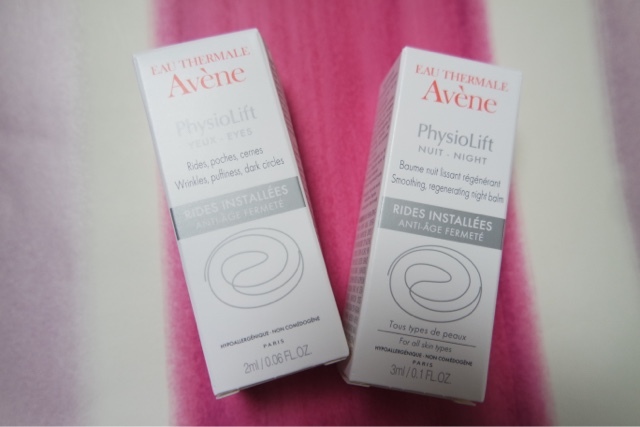 They are PhysioLift eyes and PhysioLift night creams. I always think it is important to start using antui aging products to help prevent the signs of aging instead of waiting until they are visible and then trying to get rid of them. The PhysioLift eyes helps the smooth and plump up the eye area and can help with puffiness and dark circles. The PhysioLif night cream helps to plump up tired skin leaving you soft and refreshed. Both of the creams seemed to help and I could see a slight difference after a few uses.